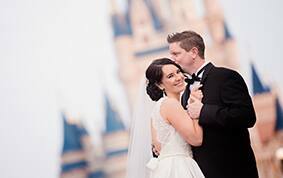 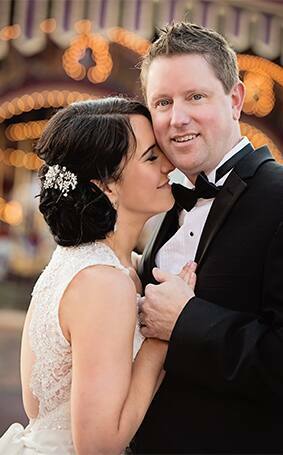 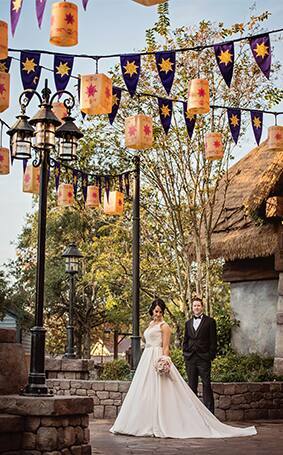 Very few people can say that they met, got engaged AND said their "I do's" all at their work location, but when you are a Walt Disney World Resort Cast Member like Amy and Trent anything is possible. 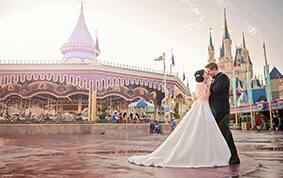 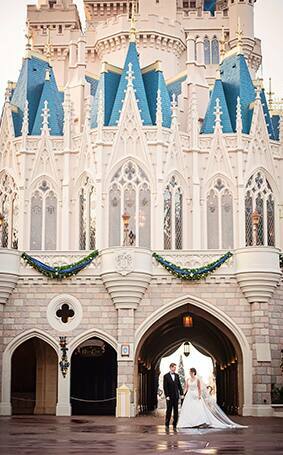 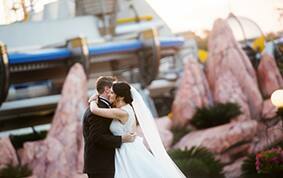 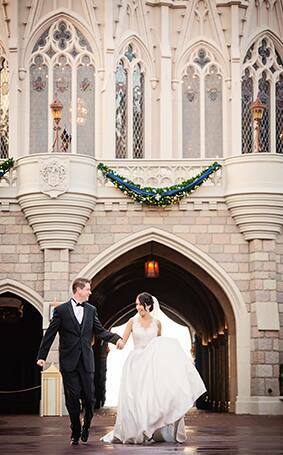 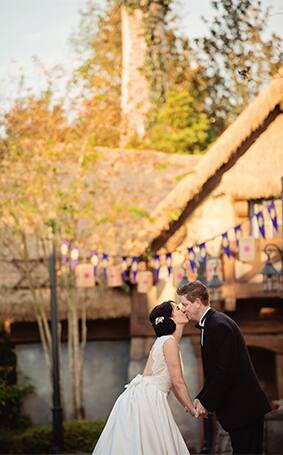 With all of the romance and fantasy that hangs in the air here at Disney Parks, it's hard not to fall in love! 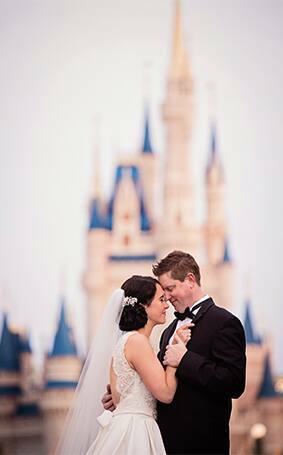 The couple was engaged by a romantic fireside at Disney's Wilderness Lodge Resort and then tied the knot at Disney's Wedding Pavilion. 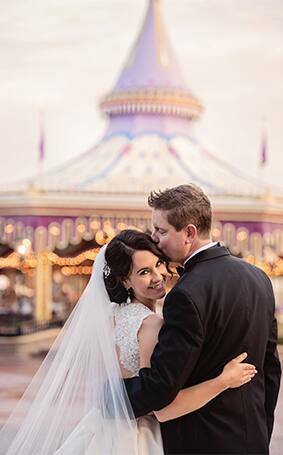 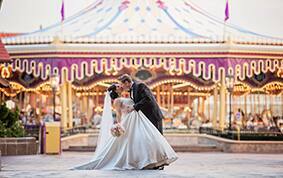 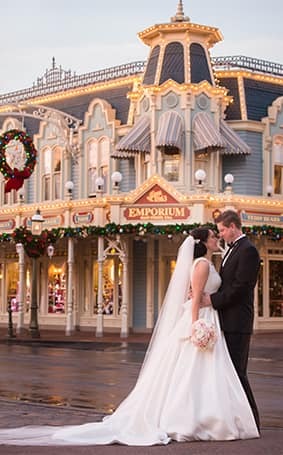 Amy, being a member of the Disney's Fairy Tale Weddings & Honeymoons team, knew that naturally the next step was to celebrate with a portrait session at Magic Kingdom Park- and it's safe to say that their stunning portraits are just as beautiful as their Disney-filled romance!